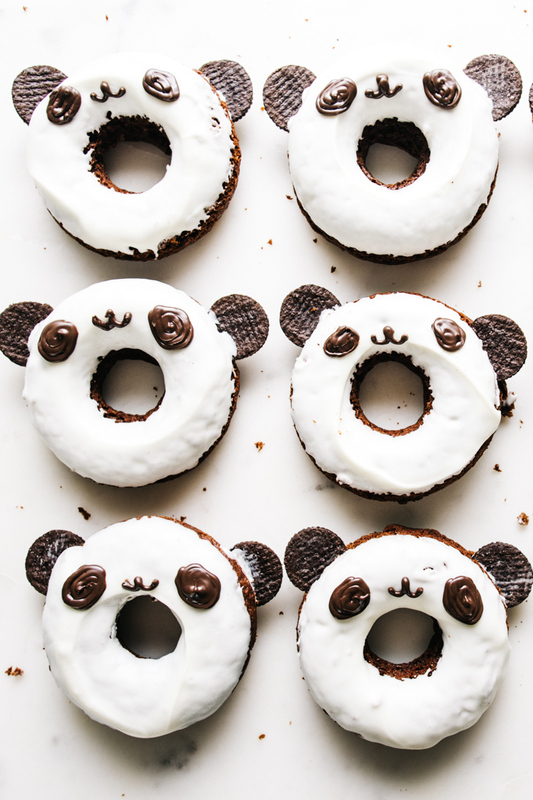 Panda donuts! 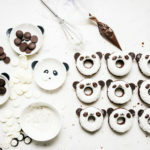 These guys make me smile, not just because they’re absurdly cute, but also because they taste so good! I made these a while back for Aerie and I was contemplating if I was going to share them or not, but in the end, I couldn’t resist. 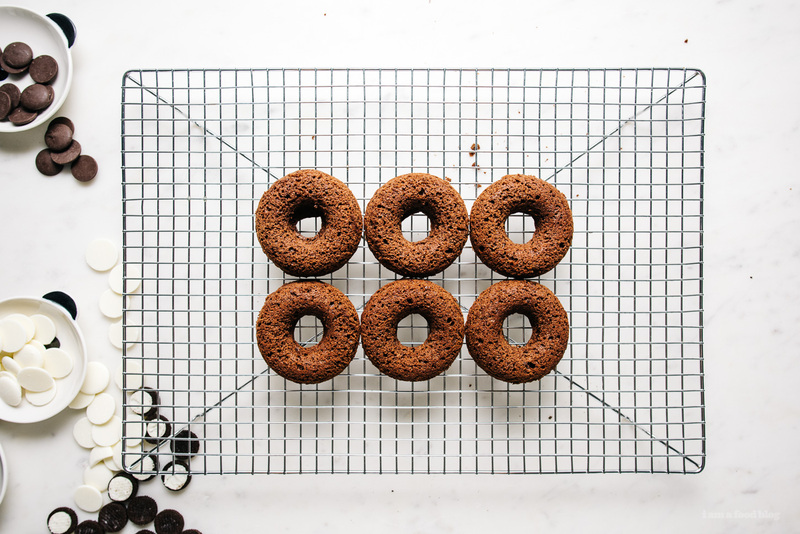 As much as I like deep frying – and really, I actually do – I love making baked donuts even more. There’s just something satisfying about the perfect shape you get when you pipe in the batter into the wells. I had a bit of trouble making my candy melts super smooth, but in the end, it all worked out, just a bit more on the rustic/crumby side. 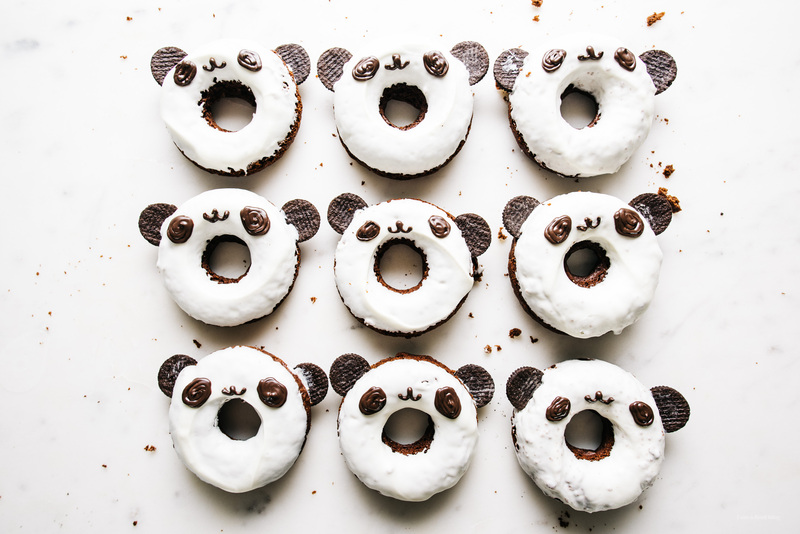 This recipe is perfect if you want a half dozen panda donuts and if you’re like me and can’t eat a ton of donuts in one sitting. No one can resist a panda! Case in point: the day after I made these, I brought them over to my friend’s place. It was funny because she told me she saw me making them on instagram. I told her to feel free to share them but later I got a text: “Thanks Steph for the donuts, just ate one. Tastes so good that I don’t want to share.” Heehee! Totally made me feel good. Hope you guys get a chance to make these! 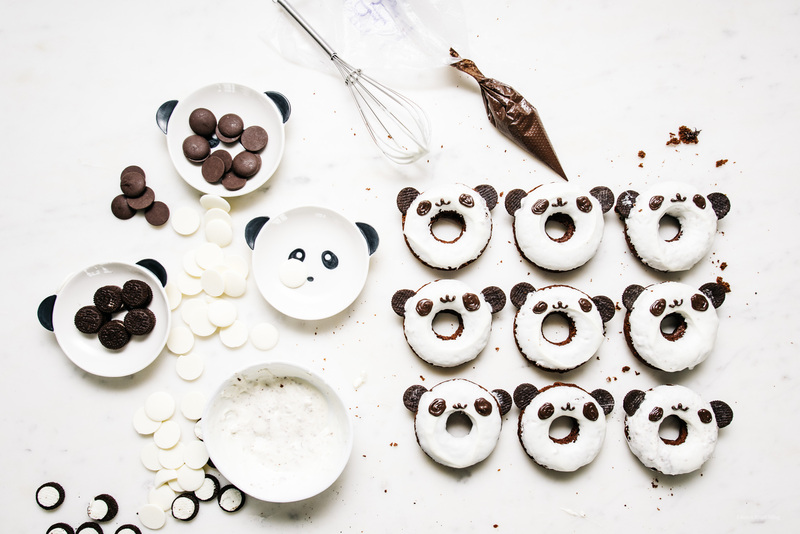 They’ll put a smile on your face while you’re making them, eating them, and giving them away! In a separate large bowl, add the chocolate chips to the melted butter. 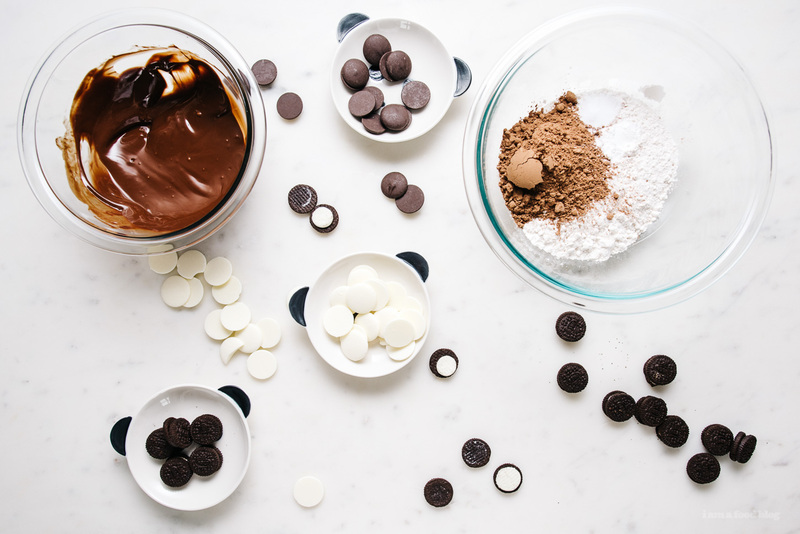 Stir until the chocolate is melted completely. Stir in the sugar and egg yolk until well mixed. Add the buttermilk and mix until smooth. Add the dry ingredients to the wet and mix until there are no streaks of flour, being careful not to overmix. Pipe evenly into the donut pan. Bake for 7-10 minutes or until firm. 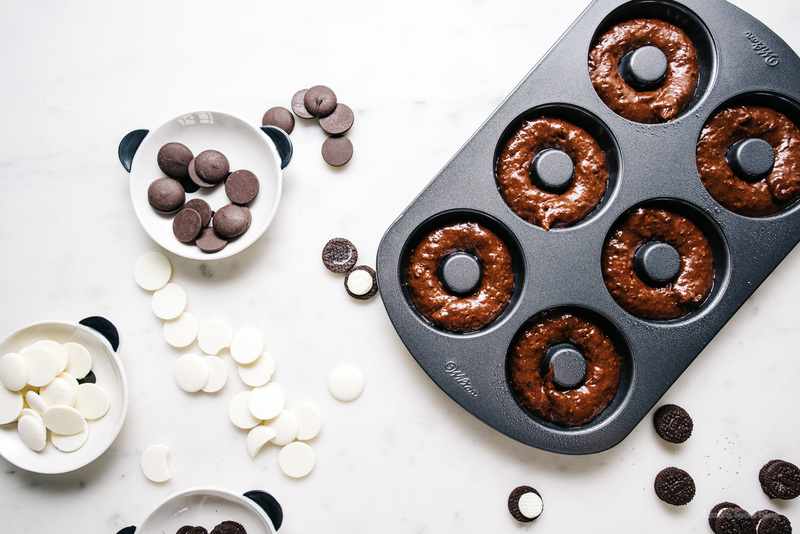 Cool in the pan for 1 minute, then flip the pan and gently coax the doughnuts onto a cooling rack. Let the doughnuts cool completely. Melt the candy melts according the instructions. Dip the doughnuts in the white and let set. Pipe on eyes and a mouth. 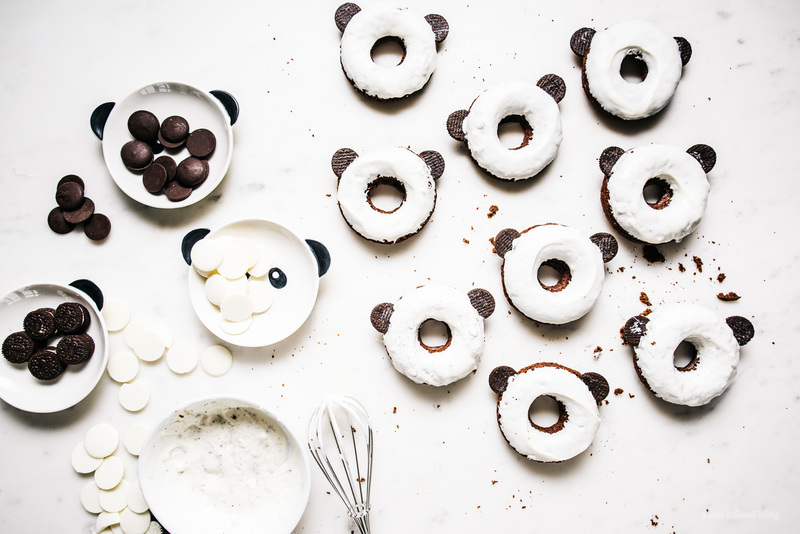 Gently use a knife to cut slits into the doughnut where the ears should go. Dip the oreos into a tiny bit of candy melt and slide into position. Enjoy! You just made me so excited about the donut pan I just bought! These look so yummy and cute! I always have trouble with those candy melts, too — I don’t know how some people get them to melt so perfectly smooth! !